Over the years, ESP has built a giant reputation around the world. 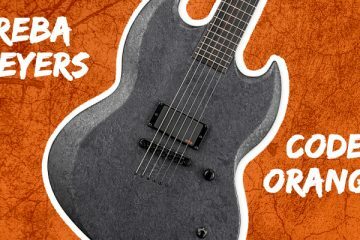 They manage to deliver quality, playability, and consistency, whether it be over-the-top custom shop models, or simple, yet sweet production models. Today, we’ll be playing a newer addition to the famous Horizon line, and seeing how this bare bones, beast of a guitar holds up. Let’s check out the E-II Horizon NT-7B Hipshot! 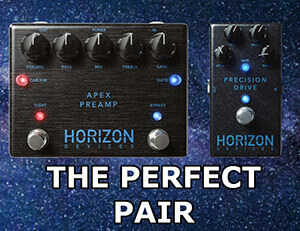 The E-II Horizon series have always done to serve the metal/shredder community with world-class, professional instruments. One of my personal favorites from last year was the E-II Horizon FR-II. New for 2017, the NT-7B Hipshot is here for the lowest of tunings. The Baritone, 27″ scale length is great for tuning stability down to the lowest tunings imaginable. 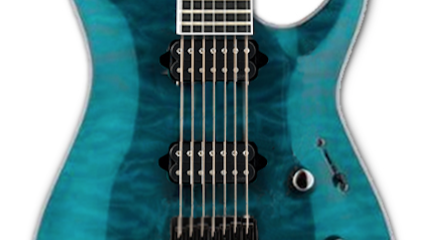 Just for fun, we played with this guitar in drop F, because why not? 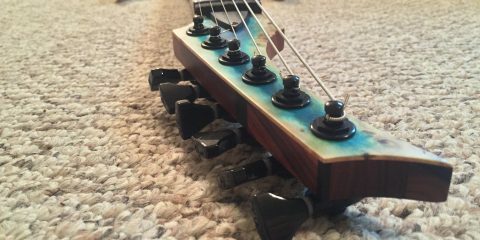 After some fine tuning, we found the mixture of the high-quality tuners, bridge, and overall craftsmanship of the instrument allowed this guitar to stay in tune very well under extreme circumstances. On top of the stability, we found this guitar to be quite comfortable and seamless for a baritone 7. The neck was smooth and effortless, and the Hipshot bridge is as comfortable as always, lending a happy place to rest your picking hand. 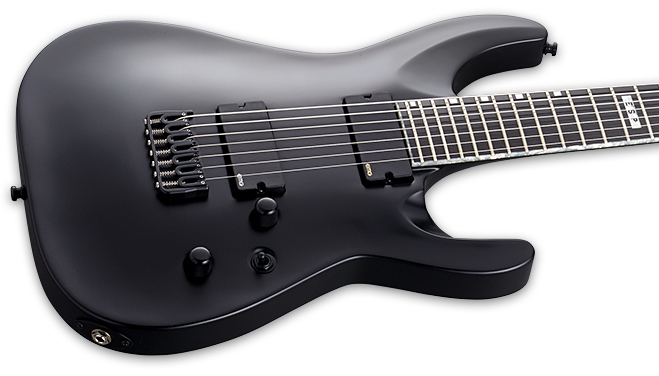 The satin black finish looks aesthetically pleasing, paired with the Ebony fretboard and black hardware, but I would have liked to see other finish options as well. 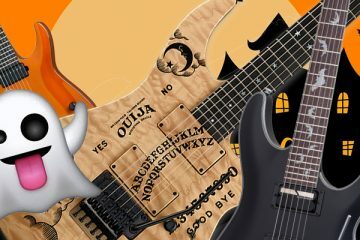 It’s a shame when black is the only option on so many guitars. Why can’t I have a pink baritone 7? The Alder body was most likely chosen for its ability to let the pickups speak for themselves, while also lending a bit of extra brightness and clarity. This body wood works great in baritone guitars due to the need for a bit more articulation in low tunings. The EMG 81 bridge pickup, found in many metal-oriented guitars, offers a very aggressive, and tight sound, particularly when saturated in gain. While a lot of pickups will lose a lot of their character and sustain in ultra-low tunings, the EMG 81 holds its own and reminds us why they are so popular. 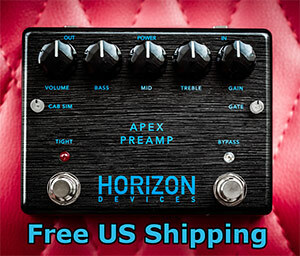 Tonally, it has a tight low-end and a bit of high-end cut to prevent any ice-pickiness. This guitar is obviously made with metal in mind, and it does it very well. Clean tones are usable as well, but most things in-between are not really what this guitar was intended for. Tha Japanese E-II series really stays consistent and blows many other production model guitars out of the water. Now, I will say that from a distance, this guitar might not look like much, but when you get close and start looking at all of the little nuances and details, you’ll see how much attention this guitar was given when being created. I was very happy with the overall quality, fit, and finish of it and the guitar’s quality pretty much speaks for itself when you pick it up and begin to play! This guitar clearly wasn’t intended for everyone. It’s solid black, baritone, fitted with EMGs, and has a 7th string on there. It was intended for the player looking for the ability to tune super low while maintaining clarity. If this is you, then you’re looking at a beast of a guitar! We upload new articles daily so if you liked this one, make sure to check out some more! We are also authorized ESP dealers and can get you any current ESP you’d like at the best price possible!